Metrotile launches new product: Lay 35 roof tiles in one go without clipping or cutting! Universally metallic roofing tile sheet of 1 m² or 35 tiles that can be instantly laid in just a single movement. 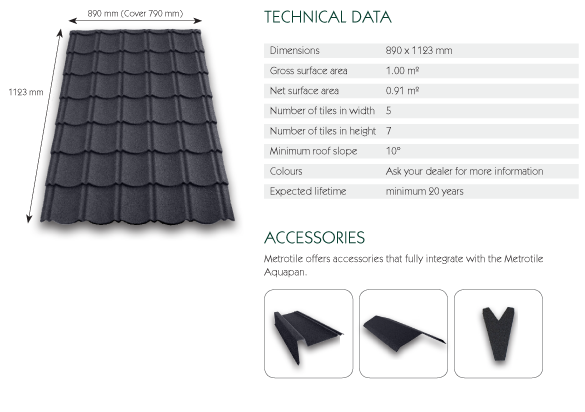 Every Aquapan sheet contains 5 tiles in the width and 7 tiles in the height. It fits into any roof and the tiles can be overlapped with each other in height as well as in width without having to clip and/or cut. Fast, easy, simple and moreover no wastage, that is beneficial to our environment.